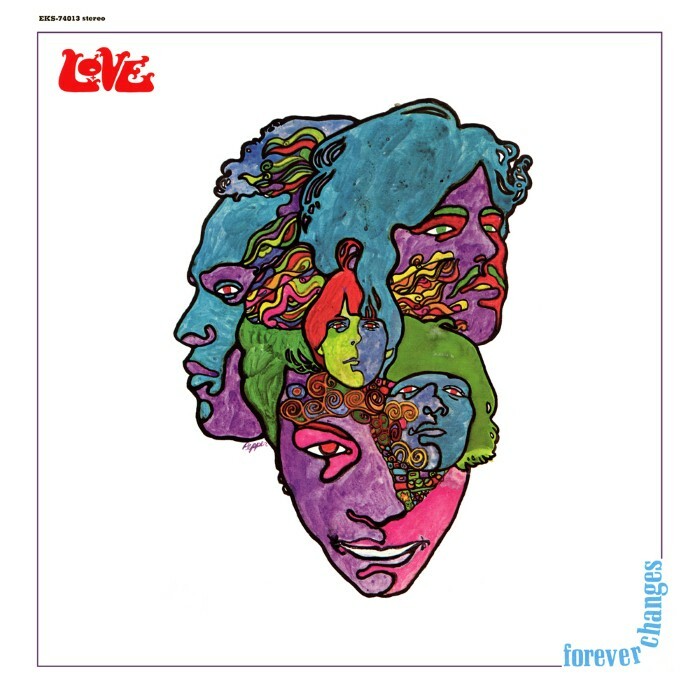 Forever Changes is the third album by the American rock band Love. It was released by Elektra Records in November 1967 and would be the final album by the original band, as subsequent albums featured leader Arthur Lee backed by a variety of new players. In 2003, Rolling Stone magazine ranked Forever Changes 40th in its list of the 500 greatest albums of all time. The album was inducted into the Grammy Hall of Fame in 2008 and was entered into the National Recording Registry in May 2012. 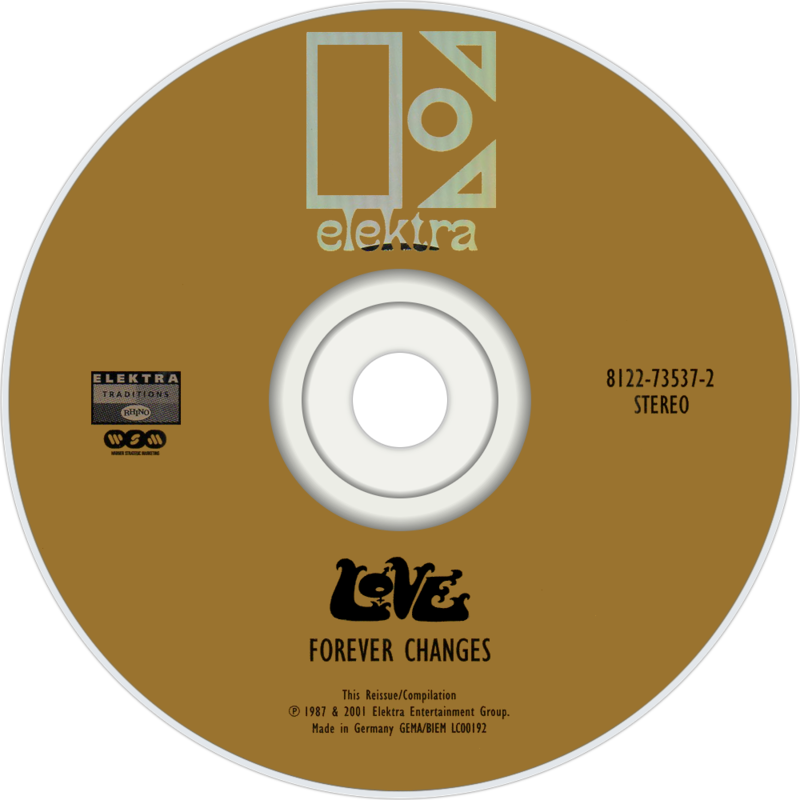 Forever Changes made only a minor dent on the charts when it was first released in 1967, but years later it became recognized as one of the finest and most haunting albums to come out of the Summer of Love, which doubtless has as much to do with the disc's themes and tone as the music, beautiful as it is," wrote Mark Deming in an entry for the online Allmusic guide. "Forever Changes is also an album that heralds the last days of a golden age and anticipates the growing ugliness that would dominate the counterculture in 1968 and 1969 ... Forever Changes is inarguably Love's masterpiece and an album of enduring beauty, but it's also one of the few major works of its era that saw the dark clouds looming on the cultural horizon, and the result was music that was as prescient as it was compelling." Ha, I'll throw this on the turntable later as I only recently bought it cos of all the talk about it. It's OK like, a bit on the la-di-da side. I own this but have never really gotten into it. Good choice. cool, have not heard this in a while. It has 2 of the best songs ever on it. Will give it a spin right now. I tried to get into this given how highly regarded it is but I don't get it. Some of the tunes are nice but it doesn't hit home for me. The cover art is amazing and promises something properly psychedelic but it fizzles out for me. Will listen again and see if I've had a change of heart. One of mine. Amazing album. A House is Not a Motel ftw! Will put on my extra special listening ears when it comes to them. Ah deadly, looking forward to getting stuck into this one! Yea, I've always loved the album cover. Been meaning to listen to this for years now, looking forward to it! I think it sounds like it came too late, that a couple of years earlier Forever Changes would make sense but in 1967 things were already moving away from this sort of safe sound. The Velvet Underground & Nico came out the same year, The Stooges were playing gigs, Funkadelic were moving into truly psychedelic spaces that would bear fruit over the next few years, Frank Zappa had Absolutely Free, The Beatles were deconstructing themselves on Sgt. Pepper, Silver Apples of the Moon by Morton Subotnick was out, Blue Cheer were formed, Amon Düül were formed, Flower Travellin' Band were formed, In comparison, all the Summer of Love bands feel like artifacts from a declining culture (despite 1967 being its peak). Love and bands like Buffalo Springfield, Jefferson Airplane and HP Lovecraft all captured that hazy, lovey-dovey sound but a lot like punk 10 years later, I think the significance of what they did has dulled with the passing of memory as the music itself is good and entertaining but it's not exactly psychedelic in the sense of actually being mind-expanding. I think for the people caught up in the hippie and counter cultural movements, these groups made more sense at the time but even then it's hard to see Forever Changes as an important musical statement as opposed to plaque to mark the occasion where loads of people were preaching about peace and love and taking loads of drugs. I'm not saying it's bad album by any means but it's for me it's like listening to a lot of baroque music, it is something I can listen to and like but it's more of a historical document than a timeless piece of art. Robert Christgau writing here in what looks like 1976 (based on the Sparks advert) rates it almost as highly as the Velvet Underground album and better than the Zappa album. Have to say i'm struggling with it on first listen. a lot of baroque music, it is something I can listen to and like but it's more of a historical document than a timeless piece of art. I do like a lot of that baroque-style soft psych stuff from the 60s, but bands like the Bonniwell Music Machine just catch my ear as more enjoyable than Love (probably blasphemy to say that).